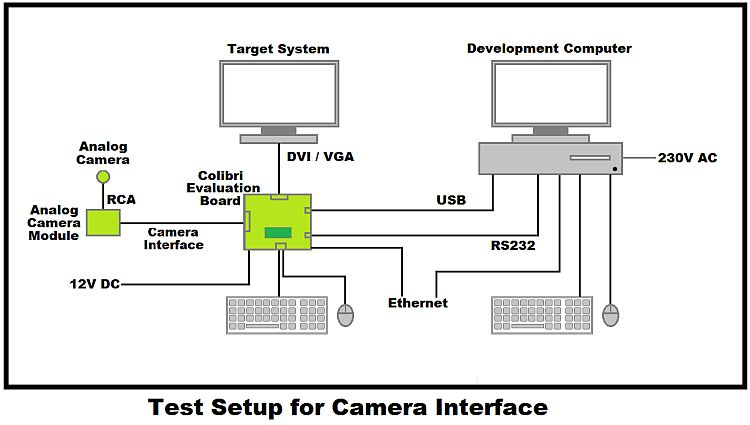 This article describes the step-by-step procedure to interface and test the Analogue Camera Adapter V2.0 (ACA 2.0) and Analogue Camera Module (ACM V1.1) with Colibri and Apalis Evaluation Board using the Tegra T20/T30 Parallel Camera Interface. 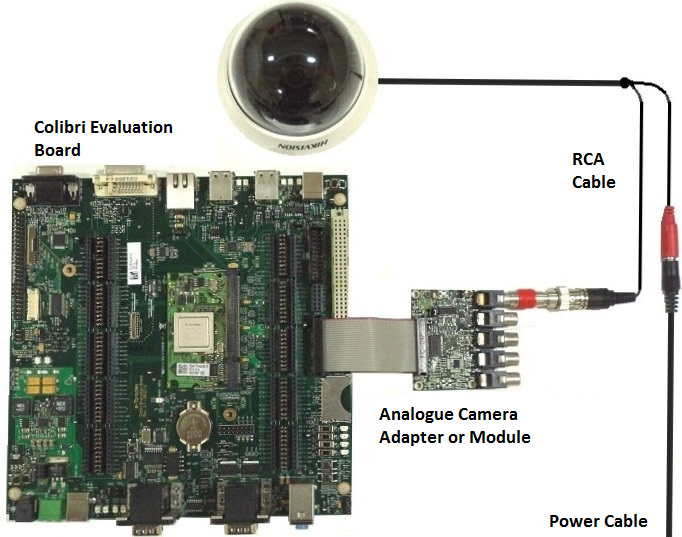 If you plan to use the ACA adapter with an iMX6-based module you could find information about software configuration in the folliwing article: Using iMX6 Camera Interface in Windows CE. Connect RCA cable from the camera sensor to the RCA phono connector on the Analog Camera Adapter or Module. Connect the ACA or ACM (connector X1) to the Colibri or Apalis camera interface connector on the Evaluation Board. Please refer to the Analogue Camera Adapter Datasheet, section 4 (Pin Mapping) for more details. Please refer to the Analogue Camera Module Datasheet, Section 6 (Pin Mapping) for more details. Power up the test setup. Please keep CameraPlugin.dll and CameraDemo.exe in same directory and Run CameraDemo.exe from device. Verify able to see camera preview on the display. Please go through the readme.txt file for more information about application usage. Image showing Analog camera connection and Setup. Note: Please use Tegra WinCE Image from 1.4 or newer, it can be downloaded from here. To update the image, please use Update tool. Please contact our support, if you have any questions or feedback.